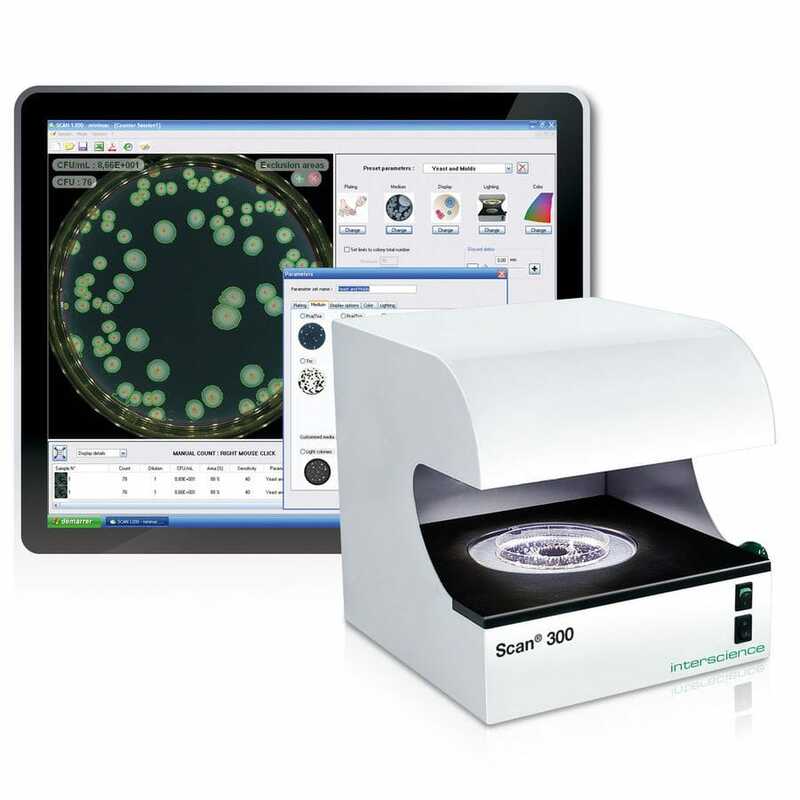 Scan 300 is an automatic colony counter. It counts colonies on a Petri dish in less than half a second and gives you quick, accurate, complete and traceable reading of the results. With its CMOS camera and powerful software, it connects to a PC via a USB connection and automatically exports results to Excel.